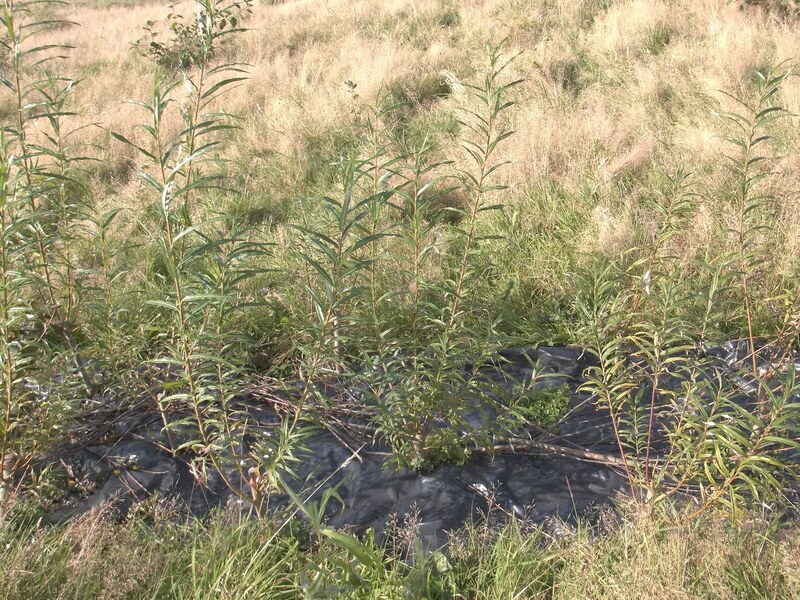 * (Above) Willow (Salix viminalis) cuttings 6 months after planting, planted without treatment (left) and with our Edible Forest Garden mycorrhiza mix (right). Mycorrhizae are fungi which live symbiotically on (and sometimes within) the roots of plants. It is now known that mycorrhizal fungi are true symbionts, boosting plant growth (by improving drought tolerance, breaking down organic matter and releasing nutrients for the plant) in return for sugars. 95% of all plants are known to form mycorrhizal associations of one sort or another, and some of these mycorrhizal fungi produce the most highly prized edible mushrooms - Chanterelles, Penny Buns and Truffles are all the fruiting bodies of mycorrhizal species. 2What are the benefits of using a mycorrhizal inoculant? There are many benefits to using a mycorrhizal inoculant. Whilst in time mycorrhizal spores will almost certainly find their way to the roots of your plants, this can take many years, especially when there are no or few appropriate species fruiting nearby (i.e. an open field site). Mycorrhizal inoculant products make sure that the right spores are there from the start, meaning that they can take hold and benefit the plant in its crucial early stages of growth. 3What the benefits and disadvantages of using a Chaos fungorum mycorrhiza mix over other products? The key benefit of using a Chaos fungorum mix is diversity - Chaos fungorum mixes are much more diverse than most other products on the market, containing the spores of anything from 15-40 species of native mycorrhizal fungi from across many different orders of the mushroom kingdom. With the growing recognition of the benefits of biodiversity and polycultures, it seems only appropriate that a diverse new plant woodland, hedgerow, orchard or forest garden should have a diverse fungal ecology to go along with it. Using a Chaos fungorum mix will ensure you have given your trees the best possible selection of mycorrhizal partners from the outset. The other possible benefit, in the long term, is crops of edible fungi - the Chaos fungorum Edible Forest Garden mix is formulated using principally the spores from edible mushrooms. Whilst nothing is certain when trying to encourage edible mycorrhizal fungi to form mushrooms (commercial attempts have largely been met with failure), inoculating young trees with a mixture of spores from edible species will give you the best chances of getting perennial edible mushroom patches. Success depends on many variables, but we have had small crops of Laccaria laccata (The Deceiver) from cobnut trees inoculated just 7 months before. 4How much mix do I need? Suggested application rates vary from 20g for a large bare root or pot grown fruit tree to 2g for a small bare root hedging plant. 5How do I use your mycorrhiza mixes? Simply sprinkle the mix into the planting hole when planting trees - be sure to water thoroughly afterwards to ensure hydration of the mix. Alternatively, mix through the soil or compost when planting tree seeds or potting on seedlings. Full instructions and a current species list are included with each packet. 6Are there any plants not covered by your mixes? 7Which trees are best for encouraging edible mycorrhizal fungi? Some trees are more mycorrhizal than others – the trees with the highest number of fungal associations are beech, oak (each with around 2000 associations recorded), birch and pine (with around 1600 for each). Other good species for edible mycorrhizal associations include hazel and sweet chestnut. If mycorrhizal mushrooms are your primary goal, I recommend Norway spruce, as it associates with most of the best edible species and is very rapidly maturing. Fungi like a good organic, humus-rich soil, and are most active in the upper layers of the soil where there is good aeration. 8Can I use Chaos fungorum products on already established trees? There is no getting around the fact that mycorrhizal associations are best and easiest formed early on in a tree's life – one only has to compare the vigour of young tree seedlings at the edge of a healthy forest (where there are high numbers of mycorrhizae spores in the soil) to those planted in a bare field to understand the benefits of early contact with mycorrhizae. After a few years, even in bare field sites, some mycorrhizae should have found their way to your trees – however there is anecdotal evidence that inoculation of even established trees with desirable species (chanterelles, for example) can work in producing edible mushroom patches. Also, I get emails from people who have noticed a lack of fungal activity or a lack of vigour in established trees, are miles from the nearest woodland where mycorrhizal species may be fruiting, or simply want to increase the diversity of mycorrhizae in their soil – in these cases, it may be worth applying some of our mycorrhiza mixes to established trees. To apply the mix to already established trees, insert a fork gently into the root zone and slightly lever the soil upwards – this will create cracks and small air gaps in the soil. Remove the fork and wash a little of the granular mix down each of the holes with a little water. Heel the holes closed. Repeat at various points around the tree. 9What is in your mixes? The Chaos fungorum mixes consist of a mixture of ecto and endo mycorrhizal spores (see the species list page for a full list) mixed with bio char. A small amount of natural additives are also added to encourage mycelial growth. iochar is an ideal carrier for mycorrhiza spores as it is highly porous, provides aeration and structure to the soil, and has the ability to absorb water, organic matter, nutrients and gases, providing the ideal environment for spores to germinate and other soil biota to thrive. 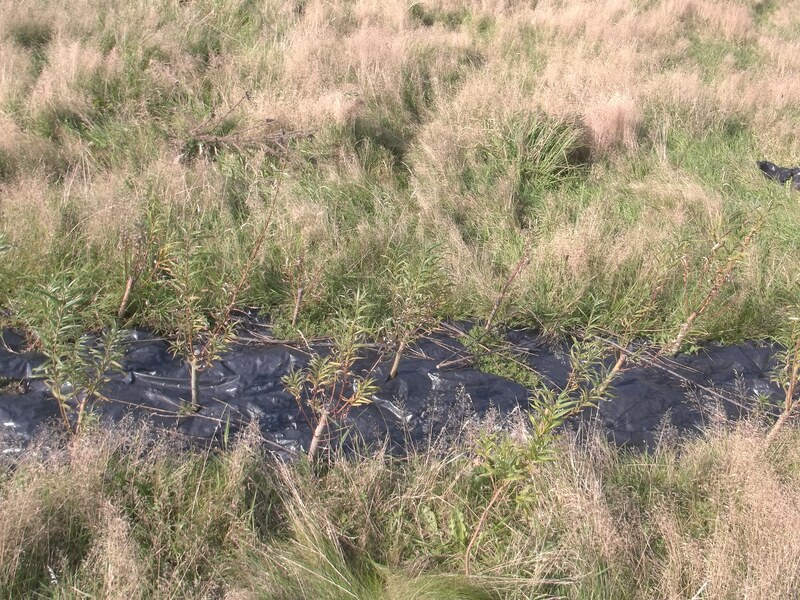 Additionally, production of biochar from sustainable sources helps to sequester carbon in the soil. Our biochar is produced from sustainably coppiced British woodland. We ship our product within Europe - for non-UK orders please use our eBay listings which add the appropriate shipping. Unfortunately we do not ship our product outside of Europe, though for large projects we may be able to make a custom mix - please see our consultancy page or contact us for more details. 12Where can I find out more about mycorrhizae?